Do you remember the “planking” craze that was going on a couple of years ago? Well it looks like the Nupes and SGRhos have created their own social media craze that is so hilarious that it’s gone viral. 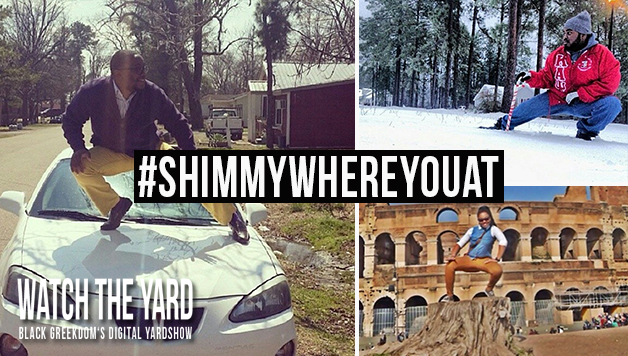 It is called #ShimmyWhereYou at and essentially the goal is to take a picture of yourself in an unlikely place shimmying, add a funny caption, and tag it with the hashtag “#ShimmyWhereYouAt”. 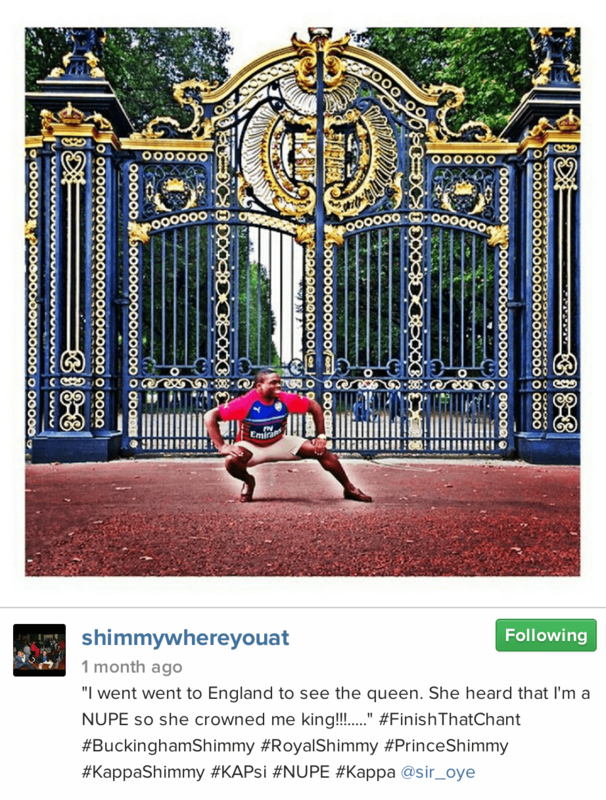 Examples of locations that have been #ShimmyWhereYouAt’ed include the Colosseum in Rome, in the middle of a blizzard, in front of Buckingham Palace, and even in a tree. The trend has gotten so big that there is even an Instagram account called @SHIMMYWHEREYOUAT dedicated to collecting the wildest #ShimmyWhereYouAt pictures. We searched the internet for some of the best #ShimmyWhereYouAt pictures and have posted them in the gallery below. Simply click on the arrows at the top or bottom of this page to take a look. Make sure to read the captions too, they are HILARIOUS!